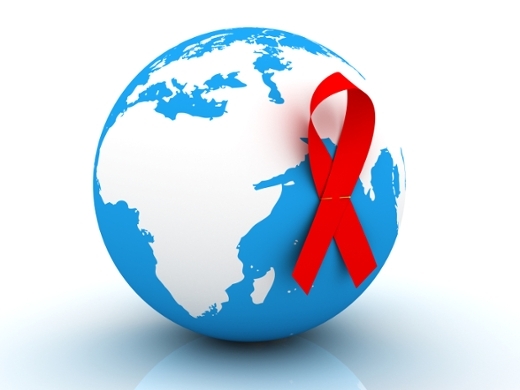 A panel of experts convened by the International Antiviral Society-USA (IAS-USA) has issued updated recommendations for the use of antiretroviral therapy (ART) in adults with HIV infection based on new information available through 2016. The panel reviewed data published in peer-reviewed journals, presented by regulatory agencies, or presented at scientific conferences since the last version of these recommendations in 2014. "With the availability of new data and therapeutic options for the use of antiretroviral drugs for treating and preventing HIV infection, it was important for this expert panel to provide updated recommendations," says Carlos del Rio, MD, a member of the IAS-USA panel and chair of the HIV Medicine Association. del Rio is professor and chair of the Hubert Department of Global Health at Emory University’s Rollins School of Public Health, professor of medicine at Emory University School of Medicine and co-director of the Emory Center for AIDS Research (CFAR). The report was published in the July 12 issues of JAMA. Recommendations from the panel include when to start treatment with ART, initial regimens, and changing regimens, along with recommendations for using ART for preventing HIV among those at risk, including pre-exposure and post-exposure prevention. Newer data support the widely accepted recommendation that ART should be started in all individuals with HIV infection with detectable viremia regardless of CD4 cell count. Recommended optimal initial regimens for most patients are two nucleoside reverse transcriptase inhibitors (NRTIs) plus an integrase strand transfer inhibitor (InSTI). Recommendations are provided for special populations and in the settings of opportunistic infections and concomitant conditions. Reasons for switching therapy include convenience, tolerability, simplification, anticipation of potential new drug interactions, pregnancy or plans for pregnancy, elimination of food restrictions, virologic failure or drug toxicities. Laboratory assessments are recommended before treatment, and monitoring during treatment is recommended to assess response, adverse effects, and adherence. Approaches are recommended to improve linkage to and retention in care. Daily tenofovir disoproxil fumarate/emtricitabine for use as pre-exposure prophylaxis to prevent HIV infection in persons at high risk. When indicated, post-exposure prophylaxis should be started as soon as possible after exposure. "Antiretroviral agents remain the cornerstone of HIV treatment and prevention," the authors say. "All HIV-infected individuals with detectable plasma virus should receive treatment with recommended initial regimens consisting of an InSTI plus two NRTIs. Pre-exposure prophylaxis should be considered as part of an HIV prevention strategy for at-risk individuals. When used effectively, currently available ARVs can sustain HIV suppression and can prevent the transmission of HIV. With these treatment regimens, survival rates among HIV-infected adults who are retained in care can approach those of uninfected adults," the authors conclude.